There are a lot of crochet patterns on the internet, and sometimes it can be hard to pick the good ones from the crowd. 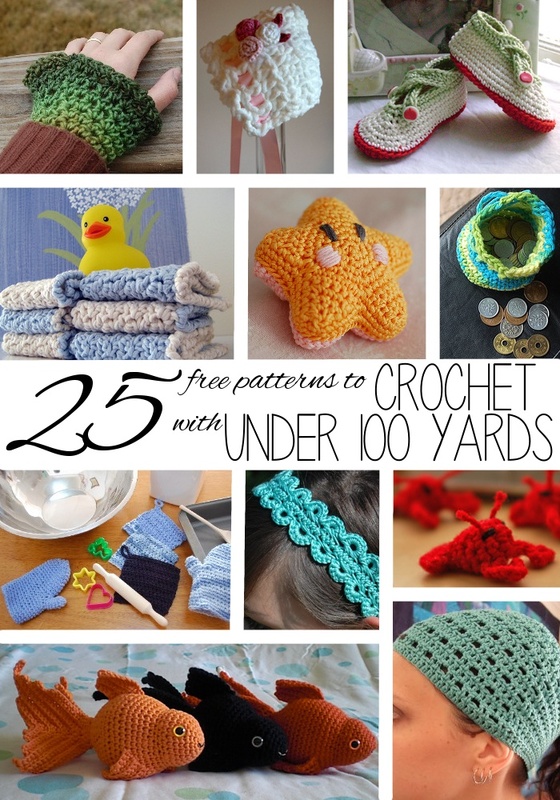 Today I thought I’d pick out 25 free crochet patterns that can be made with 100 yards of yarn or less. I hope you enjoy! This entry was posted in Crafting, Round-up.